A combination of bold black and sleek stainless steel gives this men's Omega Speedmaster Racing watch a simple, modern edge. Powered by self-winding co-axial chronograph movement, advanced functions such as water resistance up to 100 metres, chronometer and tachymeter all contribute towards its faultless precision. 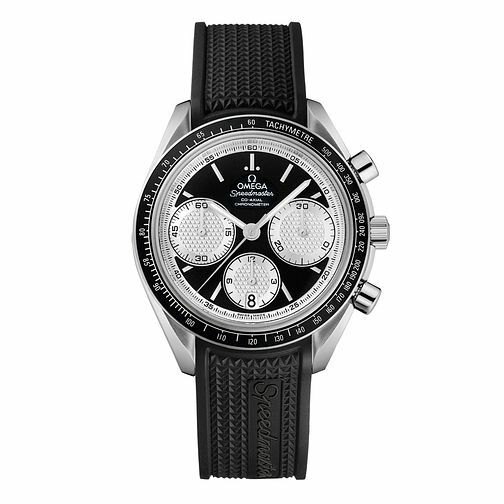 Omega Speedmaster Racing men's black rubber strap watch is rated 5.0 out of 5 by 1.